Jeron Teng and Jeric Teng's Kris TV Appearance: What Happened? 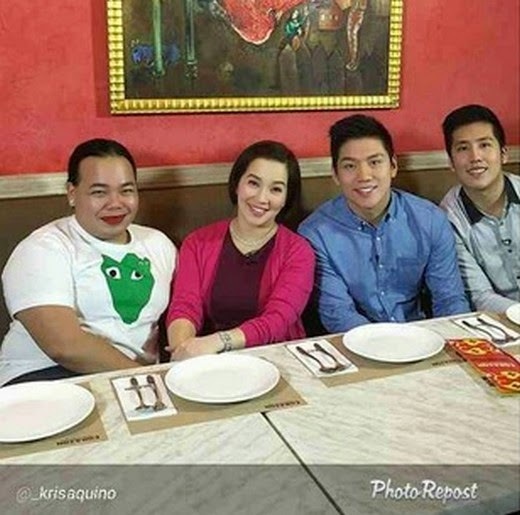 What The Brothers Revealed To Miss Kris Aquino? Read It Here! Surprising Infos! The part 1 of the famous ballers Teng Brothers Kris TV Eating Challenge episode was aired earlier today on ABS-CBN Channel 2. A lot of the Ballers' fans tuned in on Kris TV to watch how they answered the tough questions of Miss Kris Aquino. Some were surprised when they heard new infos about their basketball idols. Kris: What's your course Jeric? Jeric: Sa mga companies. Marami siya e.
Jeron and Jeric: Yes, umiinom kami pag walang games. Jeric: Gym lang and training. Jeron: Ako minsan mag-isa lang sa La Salle gym nag wowork out and weights. Kris: Which of the foods did you like? Jeric and Jeron: The beef Salpicao. Jeric: It was soccer before in Xavier. Yun kasi uso nun. Jeron: Basketball talaga ever since. Jeron: Yeah may facebook kami pero hindi na nagagamit eh. More on instagram na and Twitter. Kris: Pano ka nadengue, sa bhay nio? Jeron: Actually sabay kami. Hindi namin sure e.
Kris: Yung binigay mo ilang charms sa Pandora ni Jane? Kris: Ngayon na may show sila ni Joshua, Love team. Naiintindihan mo naman? Kris: Chosen few talaga foods for you? Jeric: Yes. A little of fruits and veggies. Mga fruit juice. Jeron: Ako hindi choosy sa food. Kahit ano. Kris: Pag ganitong place, how much sini-set aside niyong budget? Jeric: Pag food all out talaga. The part 2 will be aired tomorrow morning. Better watch out!